Some Mississippi winters can be very mild and some can get down-right frigid. And if you plan on traveling out of state at any time, you’ll want to make sure your vehicle doesn’t leave you stranded. So, here are some winterize tips you can do without coming in to one of our locations to ensure you’re ready for the road in the months ahead. 1. Tires – What condition are your tires in? 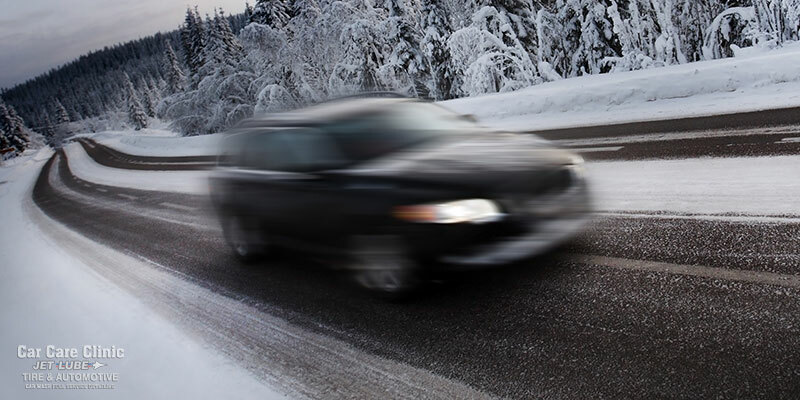 – Low tread depth on tires will increase your chances of hydro-planning or sliding on ice and snow. Also, if your tires are over 7 years old they will harden and crack. Again this will not work as well on certain road conditions and you will have a better chance of going flat. Also, make sure that the colder weather hasn’t lowered your tire pressure. Too low of pressure can cause the tire to heat up and cause a blow out. Also, pot holes have a better chance of damaging your tire (and wheel) if it is too low. 2. Get the Antifreeze Mixture Right – The mixture should be 50-50 mix of antifreeze (coolant) and water inside your radiator protects the motor from freezing and cracking. The protection level should be at – 35 degrees below zero. This can be tested quickly with an antifreeze tester you can buy at the auto parts store or we can do it for you. If the mixture is off, your cooling system should be drained and refilled or flushed. You have to dispose of the old antifreeze properly if you do this yourself. You CANNOT pour it down the drain. Antifreeze is very toxic! 3. Check Your Battery – Batteries give little notice before they die. If the battery is properly maintained and tested twice a year chances of being stranded are very low. Clean the battery’s post and connections and make sure the connections are corrosion-free. You can clean them with baking soda, water and a small wire brush. 4. Wipers & Wiper Fluid – In winter months, visibility is key. We have reduced daylight, poor wipers and no fluid can cause some serious problems in a hurry. The life expectancy of wiper blades is only one year. We recommend changing them in the fall so they are working best in the time of year you need them the most. Also, check your wiper fluid reservoir. Consider adding wiper fluid that has been mixed with a de-icer. This helps prevent the fluid from freezing on your wind shield. 5. Check Belts & Hoses – Make sure your belts and hoses are checked for cracks or wear. This should be fully checked with each service. Cold weather will make a weak hose or belt fail. If this happens, you will be stranded. So, make sure they have proper attention. 6. Make sure you can see! Check your heater and defrost to make sure it is working well to keep the windshield nice and clear. While you are at it, check the air-conditioner too as this is the system that defrost your windshield. 7. Keep your gas tank full. This will prevent the gas lines from freezing. 9. If you are stranded – don’t wander away from your car unless you are completely sure about where you are and where you are going. If your car will still run, you can run your heater for about 10 minutes for every hour. Leave at least one window open a little bit so the snow or ice doesn’t seal your car shut. 10. Wax your vehicle and protect the outside. We recommend you wax your vehicle twice a year, every spring and fall, to protect it from the sun and the salt. You can do this right in your garage or call us and we will set you up with our detail specialist. Hopefully you’re reading this BEFORE it’s snowing or sleeting outside. In any regard, we hope these tips help you stay safe during the winter.